Bad Boys or Bad Luck? Home / Articles / 2003 / Bad Boys or Bad Luck? Tyson Foods' rap sheet hasn't tarnished its industry reputation, but can that last? Not many food companies face the courts once on criminal charges. Then there's Tyson Foods, which has recently been singled out for its second set of criminal charges in recent years. Tyson's guilty plea in 1998 to charges of giving illegal gratuities to former Agriculture Secretary Mike Espy cost the company $6 million in fines. That was a mere slap on the wrist compared to what Tyson faced this year, a potential $100 million in forfeitures if it had been found guilty of conspiring to smuggle illegal aliens into the U.S. But a federal jury in late March, after little deliberation, found Tyson and its managers not guilty of all charges in the case. Still, criminal charges are only part of Tyson's woes in the legal and public relations arenas of late. The Springdale, Ark.-based company also faces a host of environmental, wage and hour and securities litigation in the wake of its messy 2001 acquisition of meat processor IBP, a deal that Tyson unsuccessfully attempted to nullify. On the health and safety front, Tyson's reputation wasn't helped when a January 2003 Consumer Reports study of microbial contamination in supermarket poultry brands ranked its poultry products below those of other brands. In spite of these problems, Tyson's reputation still rides high in many of the quarters where it counts most. Fortune magazine recently ranked Tyson among its "Most Admired Companies," as well as the most admired in the food industry, based on the views of business executives and industry analysts. Within weeks of the Fortune honor, Wilton, Conn.-based consultant Cannondale Associates and foodservice researcher Cognitio LLC, Carmel, Ind., ranked Tyson as the most respected foodservice manufacturer. The race wasn't even close, with Tyson beating its nearest rival, Coca-Cola Co., 23.7 percent to 16.9 percent -- by far the biggest spread among the Top 10 players. Tyson's reputation with key customers and opinion leaders is as seemingly good as its reputation with prosecutors, regulators and plaintiffs' attorneys is bad. For now, Tyson's standing among foodservice operators is outstanding, says Sven Risom, a consultant with Cannondale. But players such as Kraft and General Mills are gaining fast, he says, as a result of the marketing savvy and foodservice breadth they have achieved through recent acquisitions. Still, Tyson's strong standing with such far-flung segments as colleges, hospitals, restaurants and quick-service operations continues to separate the company from the rest of the pack. "For Tyson to be number one in so many channels is very impressive," Risom says. But he believes the risks would be substantial if Tyson's troubles in the legal and political realms somehow crossed into the business realm. "As long as they're fair to foodservice operators and help them to deliver quality, consistency and the right price, the other issues don't affect them [with that segment]," Risom says. "The day that other issues impact Tyson's ability to deliver is the day a lot of other problems start." Tyson got a major vindication, however, when a jury found the company and four of its managers not guilty of conspiracy in connection with illegal immigrant smuggling. The verdict followed U.S. District Court Judge R. Allan Edgar dismissal of 15 charges of illegal immigrant smuggling against the company after the prosecution closed its case. Earlier, two Tyson managers did plead guilty to immigration violations. (One later committed suicide.) The government alleged Tyson and other employees were part of a broader corporate conspiracy to smuggle van-loads of illegal Mexican and Central American immigrants to work in several of its facilities. In his opening statements, Assistant U.S. Attorney John MacCoon alleged that the case was about "corporate greed." He also alleged that Tyson's Shelbyville, Tenn., facility, where much of the federal probe was concentrated, was viewed by the company as a "model of productivity" because of the extensive illegal work force located there. Tyson spokesman Gary Mickelson said in a prepared statement that "there is no evidence of a corporate effort to hire undocumented workers." Tyson, he maintained, "has a history of cooperation with the [Immigration and Naturalization Services] and policies that demonstrate our commitment to abide by the law." Mickelson said Tyson self-reported possible immigration violations at its facilities in 1998 and 1999 and was contacted by the federal government on four occasions for scrutinizing workers' verification documents too closely , once, ironically, at one of the plants under criminal investigation. Undercover videotapes presented as evidence in the trial "make it clear that the few individuals involved went to great lengths to make sure that no one at corporate headquarters knew what was going on," Mickelson said. "The company has very strict hiring policies. When the company did find out about the violations of company policy, the employees involved were dismissed." Another issue that weighs on Tyson is its performance as a food manufacturer. Tyson strongly disputes the implications of Consumer Reports' poultry study. In a statement, the company said the study was "not necessarily an accurate and scientific representation of any one company's end products or commitment to food safety. While the number of chickens tested, 484, might seem statistically significant, it should be noted that 29 separate brands were tested. Tyson Foods produces chicken in 53 plants in 15 states. The limited numbers of samples for this survey are not statistically relevant when compared to the volume of chicken we produce in the variety of locations in which we operate." Tyson wouldn't comment for this article on the company's broader history of legal woes, as many of the outcomes are still pending. In court proceedings, however, Tyson has denied allegations of wrongdoing in each instance. But Tyson's legal woes made its legal disclosures in its recent 10-K Annual Report with the U.S. Securities and Exchange Commission (SEC) read like a rap sheet. Tyson faces four separate civil suits, one from the federal government alleging violations of the Fair Labor Standards Act for failure to pay overtime to its workers as earned. The company faces another four civil suits alleging environmental violations, three from various state or local jurisdictions. From IBP, Tyson inherited shareholder litigation and a SEC probe concerning a restatement of earnings that occurred prior to the 2001 acquisition. An appeal concerning Tyson's own lawsuit against IBP, which alleges it was unlawfully induced to make the acquisition based on misleading information, is also pending, as is shareholder litigation against Tyson by IBP shareholders whose own holdings were hurt by Tyson's unsuccessful effort to back out of the deal. Meanwhile, a group of Hispanic Americans is suing Tyson for identity theft in connection with the alleged immigration violations. And a group of Tyson shareholders is suing the board for failure to control executives who allegedly engaged in the immigration violations. Those suits could face considerably steeper odds against success, given Tyson's exoneration in the criminal case. In all, Tyson's legal issues disclosure runs more than 4,500 words , about three times the length of this article. 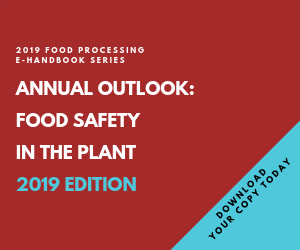 To be sure, meat processing can be a messy business, fraught as it is with environmental, labor, and health and safety issues. But other processors seem to have only a fraction of Tyson's legal problems. ConAgra Foods' legal disclosures in its annual report run a mere 772 words, Pilgrim's Pride's 1,344 words. Smithfield Foods needs only 1,075 words to explain its legal troubles. And these three combined required only about two-thirds the space required by Tyson to outline its legal difficulties. At least some of Tyson's legal baggage may stem from its unusual position as lightning rod for both the left and right. As the largest meat processor in the U.S., it's a natural target for such groups as Physicians for Social Responsibility and the Consumer's Union. By virtue of its location in Arkansas and family ties to former President Bill Clinton, Tyson has become a whipping boy of right-wing zealots as well. An executive close to the company cited a statement allegedly made by former Chairman Don Tyson: "If we'd just been located about 75 miles to the west in Oklahoma, we might have missed out on all of the Clinton-era problems." Ultimately, the federal bribery prosecutions by Special Prosecutor Donald Smaltz didn't amount to much. While Tyson pleaded guilty to illegal gratuities charges, Espy, who was one of the alleged recipients, was acquitted of all charges on the receiving end. Tyson external relations executive Archie Schaffer III was convicted in 1998 of illegally influencing Espy by inviting him to a 1993 Tyson-hosted party. Clinton subsequently pardoned Schaffer. But the swift not-guilty verdict in the immigration trial only adds to the appearance that criminal charges against Tyson have been motivated more by politics or prosecutorial zeal than criminal wrongdoing. Though Tyson went down without a fight in the bribery case, it may have learned a lesson. It fought the immigration charges vigorously and won. "There's no question they've got their hands full," Risom says. "My fear is that it distracts them from their core business. That's the Achilles heel. How do they maintain excellence amid the legal battles? I just hope the people can keep their noses to the grindstone. It's so hard to do that."